Originally from Cameroon in West Africa, he traveled to the U.S. to further his education. Mr. Mbobi graduated from Kent State University Stark Campus with a Bachelor of Science in Mathematics in 2007. In 2011, he graduated with his Masters of Arts in Mathematics from Kent State University Kent Campus. He started teaching at Aultman College as an adjunct faculty in 2011 and was later promoted to part time faculty the following year. 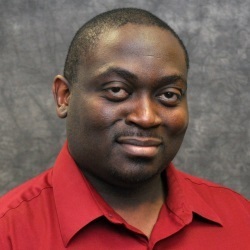 Presently, he is an Assistant Professor and enjoys teaching at Aultman College because they have a great team. Mr. Mbobi states, “The faculty, staff, and administration all have one goal in mind---the success of the students”.